Noted your last and please proceed direction spore if no advice from us afteryou reach deviation point and send eta notices to Spore Agents Johnasia. Please kindly revert with regards to u/w cleaning or ask your owners to revertsoonest to arrange divers. In case vessel has to proceed to Dampier you will proceed by shortest route via Sulu/Celebes Sea and if any additional premium for transiting such area charterers will pay owners such premium otherwise if you so wish to take longer route based on "owners" risk assessment then such deviation and consumption will befor owners account. Trust you are clear on your instructions. Thanks for Charterers’ last, Charterers please provide their full reports including video at Danjing for Owners’ persual. Charterers should fulfill their obligation as per c/p, not only to conduct propeller polishing. But on the other hand, Charterers should arrange professional diver company to avoid any damage to anti-fouling paint coating. In respect of shortest route, Owners are unable to accept charterers’ last allegation. Pursuant to this charterparty clause 65-Trading Exclusions, It’s expressly stipulated that Conwartime 2013 will be applied to this charterparty. (b)The Vessel shall not be obliged to proceed or required to continue to or through, any port,place, area or zone, or any waterway or canal (hereinafter “Area”), where itappears that the Vessel, cargo, crew or other persons on board the Vessel, in the reasonable judgement of the Master and/or the Owners, may be exposed to War Risks whether suchrisk existed at the time of entering into this Charter Party or occurred thereafter. Should the Vessel be within any such place as aforesaid, which onlybecomes dangerous, or may become dangerous, after entry into it,the Vessel shall be at liberty to leave it. (ii)“War Risks” shall include any actual, threatened or reported: war, act of war, civilwar or hostilities; revolution; rebellion; civil commotion; warlike operations;laying of mines; acts of piracyand/or violent robbery and/or capture/seizure(here inafter“Piracy”); acts of terrorists; acts of hostility or malicious damage; blockades(whether imposed against all vessels or imposed selectively against vessels of certain flags or ownership, or against certain cargoes or crews or otherwise howsoever), by any person, body, terrorist or political group, or the government of any state or territory whether recognised or not, which, in the reasonable judgement of the Master and/or the Owners, may be dangerous or may becomedangerous to the Vessel, cargo, crew or other persons on board the Vessel. It’s common ground that if in the reasonable judgement of the Master and or Owners,the vessel shall be at liberty to leave it. i.e leave from Sulu/Celebes Sea. Thus,If the Master in his judgement not to transit high risks area ( Sulu/Celebessea), The charterers are not entitled to place those deviation cost on Owners. Hopea bove are acceptable by charterers. deem Spore/Malacca Straits, All Indonesian waters,India, all Philipines and several other areas could be deemed "unsafe" by master and it will be uselessto trade this vessel anymore. The application of Conwartime has to satisfy as to whether there is a"real likelihood" or "serious threat of piracy" and not just used loosely as and when the master decides there is "safety Concern"
Charterers maintain their last and if owners so decide to proceed in any othe rlonger direction it will be for owners cost and expenses. In respect of routing via Sulu / Celebes, Ownerswish to emphasize that as per definition of Conwartime 2013, (ii)“War Risks”shall include any actual, threatened or reported: … acts of piracy and/orviolent robbery and/or capture/seizure(herein after “Piracy”). Owners wish to draw charterers’ keen attention to below which are self-explanatory, thereare numerous reported accident occurred during pass year. Therefore, the piracy at Sulu/Celebes sea should be fully deemed as war risks, The Vessel shall not be obliged to proceed or required to continue to or through this high risks area in accordance with clause (b). Charterers contend that the “real likelihood" or "serious threat of piracy" seem affected by Justice Teare in his judgement in The “Triton Lark” case. Owners wish to remind that in that case, Area is for GOA, And the vessel may join convoy there. But there is no any convoy in Sulu/Celebes sea. Owners would draw charterers’ attention to  EWHC 1888 (Comm)-the “Paiwan Wisdom”case. In that case, Justice Teare held that by the terms of the charterparty construed in its factual context, the Owners have not accepted the risk of piracy intrading to Mombasa,and Charterers’ appeal fail. There are provisions in the charterparty for the payment of war risk insurance by the Charterers (see clause (d)(ii) of clause 50) but none which provides for the cost of war risk insurance for going to a named place. Thus the present case is not one in which the Owners have, by the terms of the charterparty construed in its factual context, accepted the risk of piracy in trading to Mombasa, Kenya. So far as "commercial sense" is concerned I do not accept that there is a lack of commercial sense in a construction of the charterparty which permits trading to Kenyaon Day 1 but which entitles the Owners to refuse an order to trade toKenyaon Day 2.Whilst trading to Kenya is permitted CONWARTIME 2004 enables the Owners or master to avoid danger from War Risks which may be encountered en route toKenya. Nor am I persuaded that Mr. Jarvis' example of a voyage from the Black Sea to Kenya which is stopped after the vessel has passed through the Gulf of Aden shows that his submission must be correct. It is possible that issues of waiver may arise in acase where instructions to proceed to a named port are accepted. The present case is not such a case. The Owners refused to accept the Charterers' instructions before any cargo was loaded and in any event their instructions did not require the vessel to proceed through the Gulf of Aden. For these reasons I consider, as did the majority of the arbitrators, Mr. Siberry QC and Mr. Martin-Clark, that the answer to the Preliminary Issue is No. The appeal must be dismissed. Thus we should follow the latest judgement from Justice Teare, i.e the“Paiwan Wisdom”case to be applied in our X case. The Owners never accept the risks to transit Sulu/Celebes sea, the Owners are entitled to refuse to transit there due to there is no convoy basis above authorities and reported accidents. 8. There is an abundance of recent high authority on the principles applicable to the construction of commercial documents, including Investors Compensation Scheme Ltd v West Bromwich Building Society  1 WLR 896; Chartbrook Ltd v Persimmon Homes Ltd  1 AC 1101; Re Sigma Finance Corp  1 All ER 571; Rainy Sky SA v Kookmin Bank  1 WLR 2900; Arnold v Britton  AC 1619;and Wood v Capita InsuranceServices Ltd  AC 1173. The court's task is to ascertain the objective meaning of the language which the parties have chosen in which to express their agreement. The court must consider the language used and ascerta in what a reasonable person, that isa person who has all the background knowledge which would reasonably have been available to the parties in the situation in which they were at the time of the contract, would have understood the parties to have meant. The court must consider the contract as a whole and, depending on the nature, formality and qualityof drafting of the contract, give more or less weight to elements of the wider context in reaching its view as to the objective meaning of the language used.If there are two possible constructions, the court is entitled to prefer the construction which is consistent with business common sense and to reject the other. Interpretation is a unitary exercise; in striking a balance between the indications given by the language and the implications of the competing constructions, the court must consider the quality of drafting of the clauseand it must also be alive to the possibility that one side may have agreed to something which with hindsight did not serve his interest; similarly, the court must not lose sight of the possibility that a provision may be a negotiated compromise or that the negotiators were not able to agree more precise terms.This unitary exercise involves an iterative process by which each suggested interpretation is checked against the provisions of the contract and its commercial consequences are investigated. It does not matter whether the more detailed analysis commences with the factual background and the implications of rival constructions or a close examination of the relevant language in the contract, so long as the court balances the indications given by each. (ii)“War Risks” shall include any actual, threatened or reported:war, act of war, civil waror hostilities; revolution;rebellion; civil commotion; warlike operations; laying of mines; acts of piracy and/or violentrobbery and/or capture/seizure(hereinafter “Piracy”); acts of terrorists;acts of hostility or malicious damage; blockades (whether imposedagainst all vessels or imposed selectively against vessels of certain flags orownership, or against certain cargoes or crews or otherwise howsoever), by anyperson, body, terrorist or political group, or the government of any state orterritory whether recognised or not, which, in the reasonable judgement of theMaster and/or the Owners, may be dangerous or may become dangerous to theVessel, cargo, crew or other persons on board the Vessel. (b)The Vessel shall not be obliged to proceed or required to continue toor through, any port, place, area or zone, or any waterway or canal(hereinafter “Area”), where it appears that the Vessel, cargo, crew orother persons on board the Vessel, in the reasonable judgement of the Masterand/or the Owners, may be exposed to War Risks whether such risk existed at thetime of entering into this Charter Party or occurred thereafter. Should theVessel be within any such place as aforesaid, which only becomes dangerous, ormay become dangerous, after entry into it, the Vessel shall be at liberty toleave it. (c)The Vessel shall not be required to loadcontraband cargo, or to pass through any blockade as set out in Sub-clause (a),or to proceed to an Area where it may be subject to search and/or confiscationby a belligerent. (d)If the Vessel proceeds to or through an Areaexposed to War Risks, the Charterers shall reimburse to the Owners anyadditional premiums required by the Owners' insurers and the costs of anyadditional insurances that the Owners reasonably require in connection with WarRisks. (e)All payments arising under Sub-clause (d) shall besettled within fifteen (15) days of receipt of Owners’ supported invoices or onredelivery, whichever occurs first. (f)If the Owners become liable under the terms ofemployment to pay to the crew any bonus or additional wages in respect ofsailing into an Area which is dangerous in the mannerdefined by the said terms, then the actual bonus or additional wagespaid shall be reimbursed to the Owners by the Charterers at the same time asthe next payment of hire is due, or upon redelivery, whichever occurs first. (v)to call at any alternative port to change the crewor any part thereof or other persons on board the Vessel when there is reasonto believe that they may be subject to internment, imprisonment, detention orsimilar measures. (h)If in accordance with their rights under theforegoing provisions of this Clause, the Owners shall refuse to proceed to theloading or discharging ports, or any one or more of them, they shall immediatelyinform the Charterers. No cargo shall be discharged at any alternative portwithout first giving the Charterers notice of the Owners’ intention to do soand requesting them to nominate a safe port for such discharge. Failing suchnomination by the Charterers within 48 hours of the receipt of such notice andrequest, the Owners may discharge the cargo at any safe port of their ownchoice. All costs,risk and expenses for the alternative discharge shall be forthe Charterers’ account. (i)The Charterers shall indemnify the Owners forclaims arising out of the Vessel proceeding in accordance with any of theprovisions of Sub-clauses (b) to (h) which are made under any bills of lading,waybills or other documents evidencing contracts of carriage. When acting inaccordance with any of the provisions of Sub-clauses (b) to (h) of this Clauseanything is done or not done, such shall not be deemed a deviation, but shallbe considered as due fulfilment of this Charter Party. BIMCORadioactivity Risk Clause for Time Charter Parties. TheUS/Canadian Clause Paramount as applicable, orthe Hague Rule as enacted in countries other than theUSAorCanadaas applicable to beincorporated in all Bills of Lading. (a) The Vessel shall not be obliged to proceed orrequired to continue to or through, any port, place, area or zone, or anywaterway or canal (hereinafter "Area") which, in the reasonablejudgement of the Master and/or the Owners, is dangerous to the Vessel, cargo,crew or other persons on board the Vessel due to any actual, threatened orreported acts of piracy and/or violent robbery and/or capture/seizure (hereinafter"Piracy"), whether such risk existed at the time of entering intothis Charter Party or occurred thereafter. Should the Vessel be within any suchplace as aforesaid which only becomes dangerous, or may become dangerous, afterentry into it, the Vessel shall be at liberty to leave it. (b) If in accordance with sub-clause (a) the Owners decidethat the Vessel shall not proceed or continue to or through the Area they mustimmediately inform the Charterers. The Charterers shall be obliged to issuealternative voyage orders and shall indemnify the Owners for any claims fromholders of the Bills of Lading or third parties caused by waiting for suchorders and/or the performance of an alternative voyage. Any time lost as aresult of complying with such orders shall not be considered off-hire. (i) to take reasonable preventative measures toprotect the Vessel, crew and cargo including but not limited to re-routeingwithin the Area, proceeding in convoy, using escorts, avoiding day or nightnavigation, adjusting speed or course, or engaging security personnel and/ordeploying equipment on or about the Vessel (includingembarkation/disembarkation). (iv) to comply with the terms of any resolution of theSecurity Council of the United Nations, the effective orders of any otherSupranational body which has the right to issue and give the same, and withnational laws aimed at enforcing the same to which the Owners are subject, andto obey the orders and directions of those who are charged with theirenforcement; and the Charterers shall indemnify the Owners for any claims fromholders of Bills of Lading or third parties caused by the Vessel proceeding asaforesaid, save to the extent that such claims are covered by additionalinsurance as provided in sub-clause (d)(iii). (iii) If the Vessel proceeds to or through an Areaexposed to the risk of Piracy, the Charterers shall reimburse to the Owners anyadditional premiums required by the Owners' insurers and the costs of anyadditional insurances that the Owners reasonably require in connection withPiracy risks which may include but not be limited to War Loss of Hire and/ormaritime K&R. (iv) All payments arising under Sub-clause (d) shallbe settled within fifteen (15) days of receipt of Owners’ supported invoices oron redelivery, whichever occurs first. (e) If the Vessel is attacked by pirates any time lostshall be for the account of the Charterers and the Vessel shall remain on hire. (f) If the Vessel is seized by pirates the Owners shallkeep the Charterers closely informed of the efforts made to have the Vesselreleased. The Vessel shall remain on hire throughout the seizure and theCharterers' obligations shall remain unaffected, except that hire paymentsshall cease as of the ninety-first (91st) day after the seizure until release.The Charterers shall pay hire, or if the Vessel has been redelivered, theequivalent of Charter Party hire, for any time lost in making good any damageand deterioration resulting from the seizure. The Charterers shall not beliable for late redelivery under this Charter Party resulting from the seizure ofthe Vessel. (g) If in compliance with this Clause anything is doneor not done, such shall not be deemed a deviation, but shall be considered asdue fulfilment of this Charter Party. In the event of a conflict between theprovisions of this Clause and any implied or express provision of the CharterParty, this Clause shall prevail. (iv) All payments arising under Sub-clause (d) shall be settled withinfifteen (15) days of receipt of Owners’ supported invoices or on redelivery,whichever occurs first. Total Abt. 105,000.00 usd. Without Guarantee"
In my view, the only reasonable interpretation of the clause is that in this situation, just as in the first situation, the additional insurance costs for which the owners are entitled to claim reimbursement are the costs of purchasing the additional insurance cover. Such costs will necessarily be the sums charged by and payable to the underwriters who provide the insurance. It follows that the phrase"additional insurance costs" must indeed refer only to premiums payable for insurance cover actually purchased, whether under an existing insurance or under newly arranged insurance. The phrase cannot reasonably beinterpreted as referring to costs payable by disponent owners to head ownerswhich do not correspond to costs incurred by the head owners to obtaininsurance cover for piracy risks. I do not consider that comparison withthe War Risks Clause detracts from that conclusion or assists thedisponent owners' arguments that a clause could have been better ordifferently worded are seldom persuasive, but in any event the difference canbe explained by the fact that the War Risks Clause is only dealing with asituation where war risks insurance has already been effected. It does not havethe second limb which the Piracy Clause has which provides for reimbursement where additional insurance cover isnecessary. Total 105,000.00 usd should be paid by the charterers as lumpsum and without supporting vouchers. 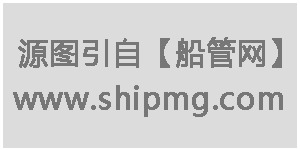 船管网 ( Shipmg.com ) © 2019 版权所有 All Rights Reserved.